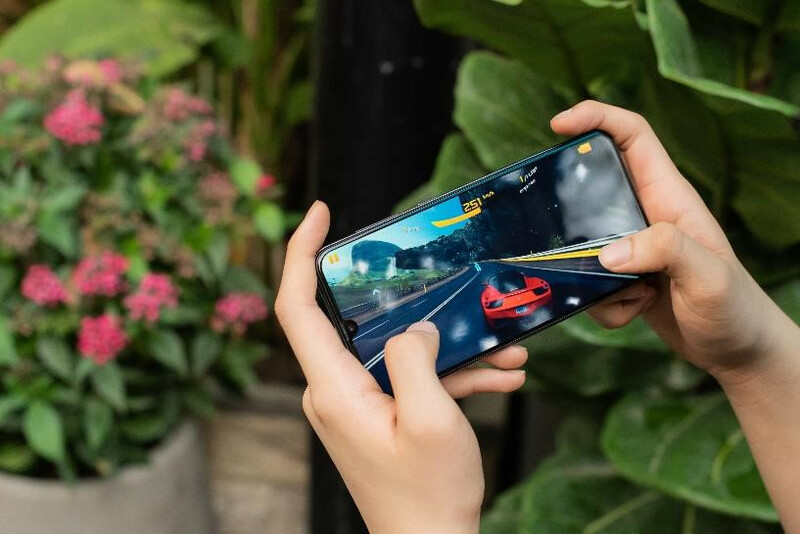 The competition in the mid-end smartphone market segment is the most cutthroat, with the Galaxy A50 the trump card for Samsung to beat rivals. According to GfK, a market analysis firm, the smartphones priced at VND5-10 million accounted for 34 percent of the total smartphone market share in 2017. The figure soared to 51 percent in the first eight months of 2018. In 2018 alone, no fewer than 30 new smartphone mid-end models were launched into the market, a very high number compared with low-cost or high-end models launched. It is estimated that three models of the segment hit the market each month, while there were only 6-8 manufacturers. Previously, analysts assessed smartphone manufacturers’ technology capability via the sales of their flagships. Today, the sales competition is stiff in the midrange market segment. At present, the high-end market segment is being controlled by the two giants, while other manufacturers cannot find opportunities to squeeze in. Meanwhile, the low-cost market segment is not attractive to manufacturers as it cannot bring sufficient profits. The mid-end market segment is highly profitable. With 12 million smartphones sold in 2017, according to GfK, manufacturers sold no less than 5-6 million mid-end products. Five years ago, when Samsung officially launched Galaxy Alpha and introduced Galaxy A Series, no one thought the series would develop. Consumers at that time were familiar with high-end models such as Galaxy S and Galaxy Note and they did not think Samsung would gather strength to conquer the mid-end market segment. The South Korean manufacturer, however, continued moving forward in this segment with the newly launched Galaxy A50. Now, smartphones are used not only for calls and messages, but also for entertainment and other purposes. Manufacturers in the mid-end market segment want to equip their products with the highest numbers of features and make products at the lowest possible prices. Analysts say that Samsung took a ‘daring move’ when giving Galaxy A features which are not available in high-end products. The Galaxy A series with the trio Galaxy A3, A5 and A7 has a new concept about ‘near high-end models’. Many features available in high-end products have also been added to the three models. Galaxy A5 2018 series, for example, has an infinity screen, and is water- and dust-resistance in accordance with IP 68 standards. Meanwhile, A7 and A9 are the first smartphones which have the highest number of cameras. Why is Vingroup jumping into the competitive smartphone sector?